Puerto Rico’s Eric Rodriguez, second from left, is greeted at home plate by his teammates Luis A. Rivera, left, Yadiel Delgado and Carlos De Jesus after his home run against Australia in the fourth inning of an elimination game in International pool play at the Little League World Series tournament in South Williamsport, Pa., on Saturday. SOUTH WILLIAMSPORT, Pa. – After a five-inning, 14 strikeout, no-hit performance, Roberto Joubert stepped off the mound and made his way toward the Puerto Rico dugout. Last September, Hurricane Maria smashed Guayama, a coastal town of around 40,000. In the weeks that followed, the Ortiz family didn’t have a place to call home. Star catcher John Lopez had to scramble to rebuild his family’s fritter business. Because the island’s entire power grid was knocked out, pitcher Yadiel Delgado couldn’t contact his father in Florida for weeks. “The first goal was to bring some recreation to the kids, not to think about what happened at their houses,” manager Carlos Texidor said through an interpreter. Communicating without a functioning power grid and traveling through debris proved to be difficult, and once the players arrived at practice, they had to cope with fields that were in anything but pristine condition. To make matters worse, they could only play during the day – which is generally avoided in the hot Caribbean climate – and had to share the fields with many neighboring communities. 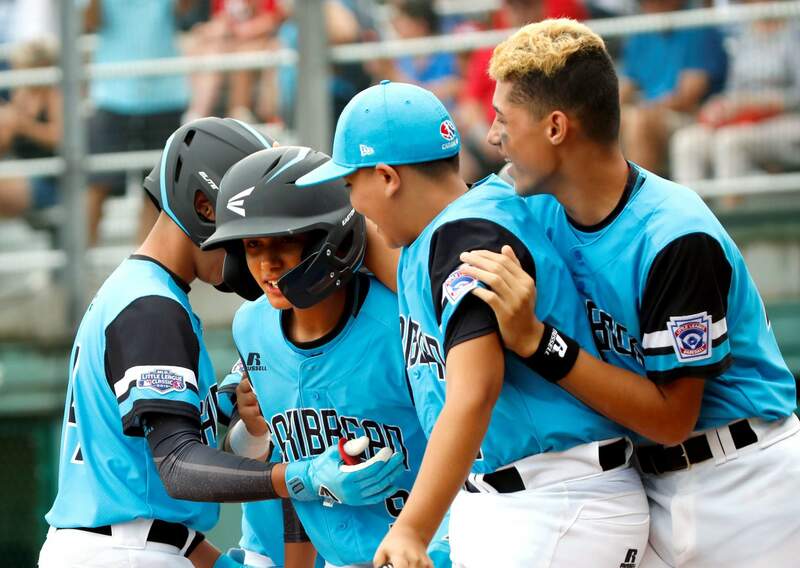 Yet practice after practice, the determined group of 11- and 12-year-olds kept showing up, and almost a year later, they’re the first team in Radames Lopez Little League’s rich history to make it to the Little League World Series. The team has lost just twice this summer and went undefeated throughout the Caribbean Regional, scoring 51 runs in the process. They will face another win-or-you’re-out game on Tuesday, and still have to string together three victories to get to the tournament final Sunday. Lopez said he isn’t ready for it all to end, at least not yet. He’s not the only one invested in the team. “I feel really proud for my guys and for Puerto Rico, and my city,” Rosario told The Associated Press in Minnesota last weekend. “I’m so happy for them. When asked about their favorite part of this journey, Lopez, Delgado and the team’s ace, Eric Rodriguez were all in agreement. It wasn’t a particular game, play, or interaction with a major leaguer that stood out.